Alan Pardew will remain in charge at ​West Brom until the end of the current campaign and the club will activate a 'break clause' in his contract to replace him in the summer when it will be cheaper, according to the ​Mirror. Pardew has endured a torrid time since he took the reigns at West Brom in November. The Baggies have just one win in their last 16 Premier League fixtures, and are currently on a run of seven successive defeats, leading to speculation that the 56-year-old could be out of a job in the summer. Pardew has not just had to face problems on the pitch in the short time he's been at West Brom, with dressing room rows and touchline incidents to deal with, as well as four senior players making headlines ​after breaking their curfew and reportedly stealing a taxi on a mid-season training camp. The former Newcastle boss has seemingly lost the support of his players and admitted that ​his team stopped trying in their 4-1 home defeat against Leicester at the weekend. With West Brom sitting bottom of the table, currently eight points off of safety, the club could finish the season with their lowest ever Premier League points tally. 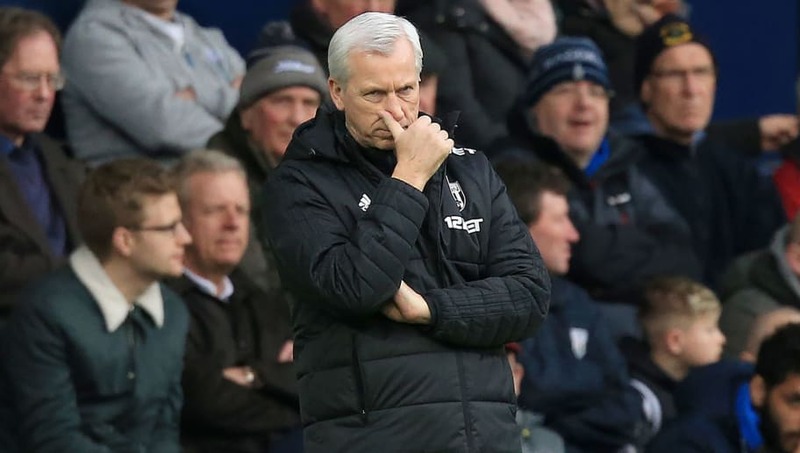 However, the club hierarchy, according to the Mirror, want to keep Pardew in charge until the summer, as a clause in his contract means the lay-off will cost the club less at the end of the season. With a change in management expected before the 2018/19 season kicks off, rumours of possible suitors have started to circulate, with the same report claiming West Brom are considering a handful of names, including Swedish club Östersunds FK boss, Graham Potter. They are also reportedly interested in bringing back former West Brom player and coach, Michael Appleton, who is currently assistant at Leicester City. While another former West Brom player is also under consideration, in Aberdeen's coach Derek McInnes, as well as there being interest in Brentford boss Dean Smith.